The view from the top of this windblown hill in Duolun County, in China’s Inner Mongolia region, could be described as either profoundly inspiring or deeply strange. For miles around, the earth is dun-colored and dry, stubbled with yellow grass. But the hillsides directly across from me are emblazoned with vast swaths of trees planted in geometric shapes: a square, a circle, overlapping triangles. The flatland below is striped with bands of identical young pines, standing in rigid formation like soldiers on parade. One recent estimate said China had 21,000 square miles more desert than what existed in 1975. As the Tengger expands, it is merging with two other deserts to form a vast sea of sand that could become uninhabitable. 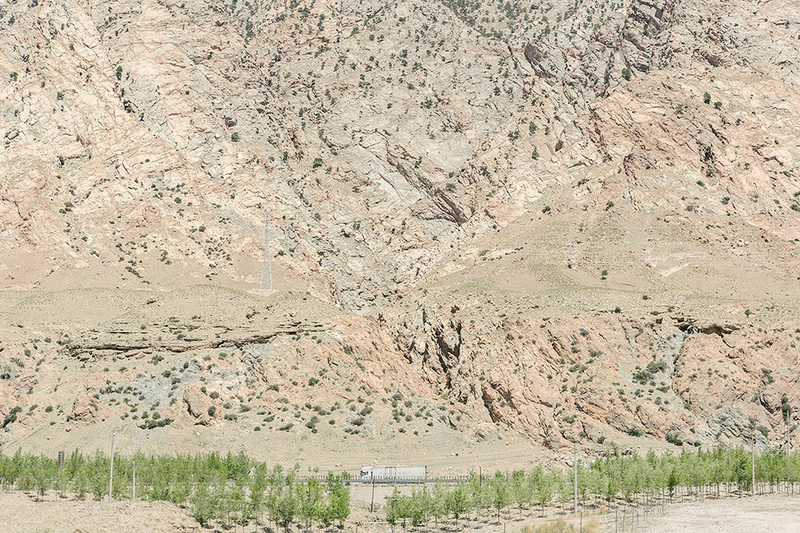 Duolun, southeast of the Gobi Desert, has always been dry. 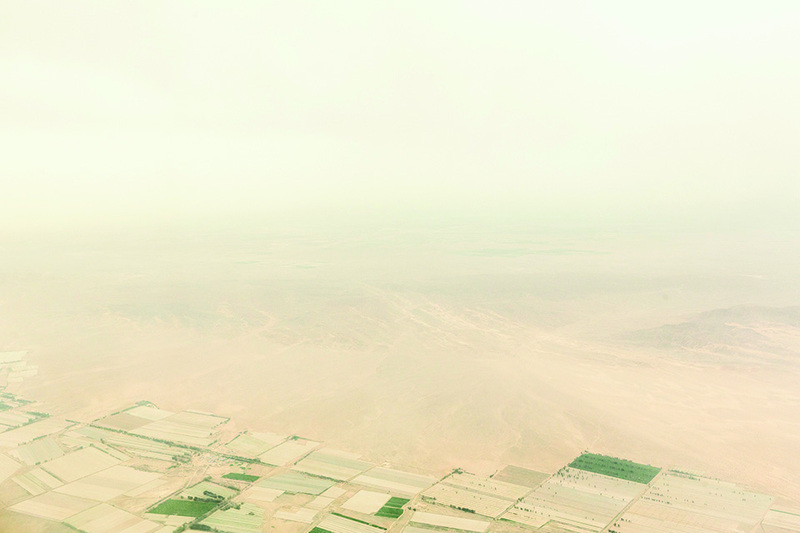 But decades of overfarming and over­grazing turned vast tracts of it into pure desert. Climate change is partly to blame, but population growth is the main culprit. The number of people in Inner Mongolia has quadrupled in the last half-century, and the number of livestock has increased sixfold. With so many people cutting trees for firewood, so many farms and factories sucking up groundwater, and so many animals chomping grass, the land simply dries up. Lacking roots to anchor it and moisture to weigh it down, fertile topsoil blows away, leaving only sand and pebbles behind. By 2000, Duolun was up to 87 percent desert, fueling sandstorms that regularly engulfed Beijing to the south. The situation was so dire that then-Premier Zhu Rongji visited Duolun and declared, “It is imperative to build green barriers.” And build they did. Since Zhu’s pronouncement, millions of pines have been planted over a total of nearly 200,000 acres, with more going in every spring. According to official statistics, 31 percent of Duolun is now forested. The Duolun project is but a sliver of a titanic tree-planting effort unfolding across China. The sand lands that cover as much as 27 percent of the country have expanded rapidly—by 2006, they were devouring usable land at a rate of almost 1,000 square miles per year (nearly the area of Yosemite National Park), up from 600 square miles in the 1950s. Sand and dust regularly inundate farms and villages and shut down roads and railways. Hundreds of thousands of tons of it blow into Beijing and other cities, creating a vicious health hazard. 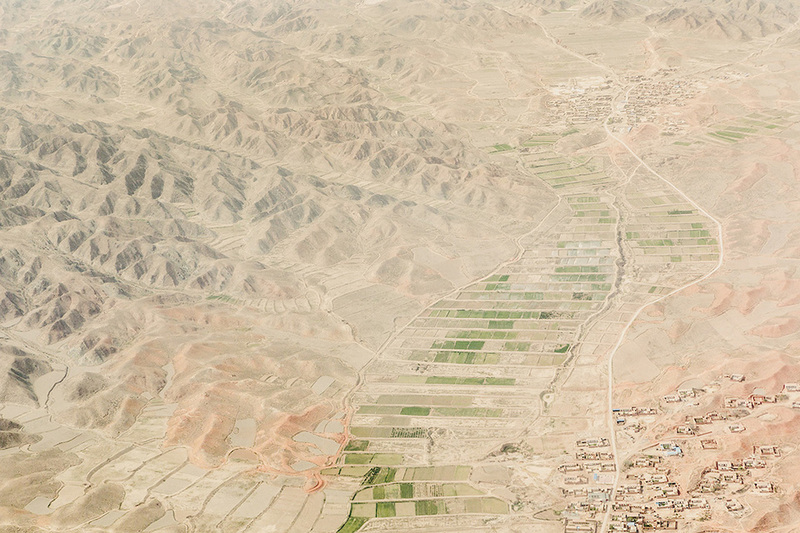 Researchers estimate that desertification costs the Chinese economy billions of dollars per year. China’s solution is to build a “Green Great Wall.” The Communist Party has promoted tree planting as a righteous cause, even a civic duty, for decades, but the Green Great Wall is staggeringly ambitious: By 2050, the government intends to plant 88 million acres of forests in a belt nearly 3,000 miles long and up to 900 miles wide in places. The project has global relevance. According to the United Nations, desertification directly affects more than 250 million people across the world. The United States and the Soviet Union launched massive afforestation projects in the last century, and more than two dozen African nations are today working fitfully on a green barrier against the encroaching Sahara. But China’s sylvan crusade is one of the most ambitious tests to date of whether humankind can geoengineer its way out of a major environmental problem. 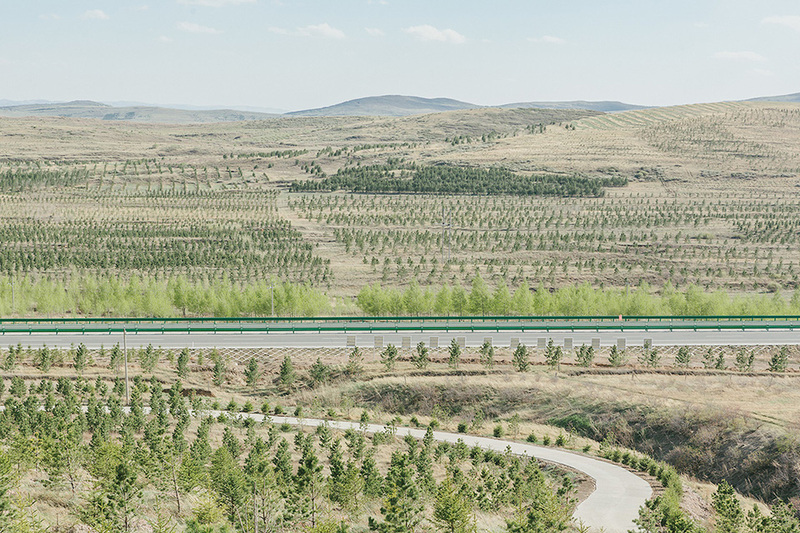 After more than a decade of the Green Great Wall, the typical landscape in Duolun today is filled with trees and shrubs. However, expert opinion is divided as to the success of the program. The results so far have been splendid—if you believe the government. Thousands of acres of desert have been stabilized. The frequency of sandstorms nationwide fell by 20 percent between 2009 and 2014. 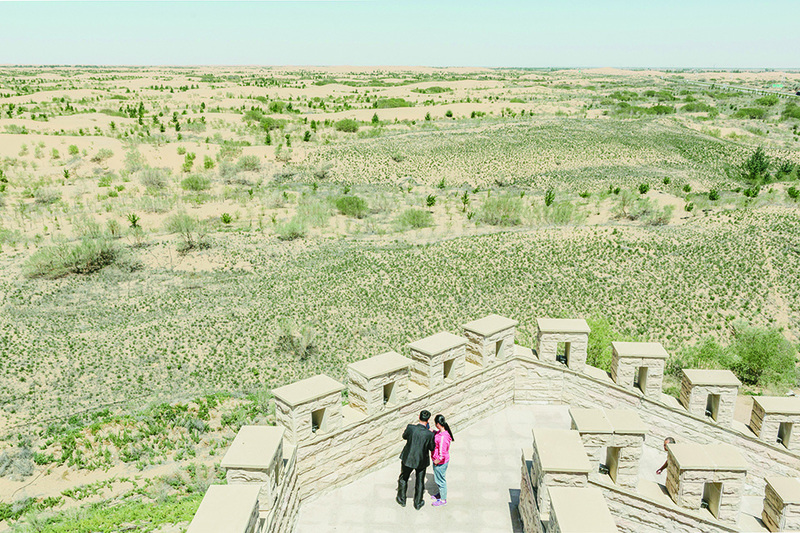 The State Forestry Administration even claims the Green Great Wall, along with some additional planting programs it oversees, has begun to reverse the deserts’ overall expansion. But plenty of scientists remain unimpressed. Many of the trees, planted in places they don’t grow naturally, eventually die. The survivors soak up precious groundwater that native grasses and shrubs need, causing more soil degradation. Meanwhile, thousands of farmers and herders are forced off their lands to make way for the trees. China may be winning its war against nature for now, but at what cost? Wang Yue, 65, with his granddaugther at home. He was forced to move from his village to make way for tree planting projects. The Green Great Wall was launched in 1978, the same year Beijing began opening up the economy, and afforestation efforts have steadily increased since then. Rather than relying on revolutionary fervor, the government now harnesses capitalism to grow trees. Villagers are paid to plant seedlings. In some places, the government leases private land for afforestation. Entrepreneurs cultivate and sell saplings and harvest mature trees for lumber. All of this has reportedly reduced poverty in many areas. It has certainly made a few people very rich. Sand is still important to Wang, but the poverty is long gone. I meet him one spring morning in the sleek Beijing headquarters of Elion Resources Group, the multibillion-dollar company he leads. 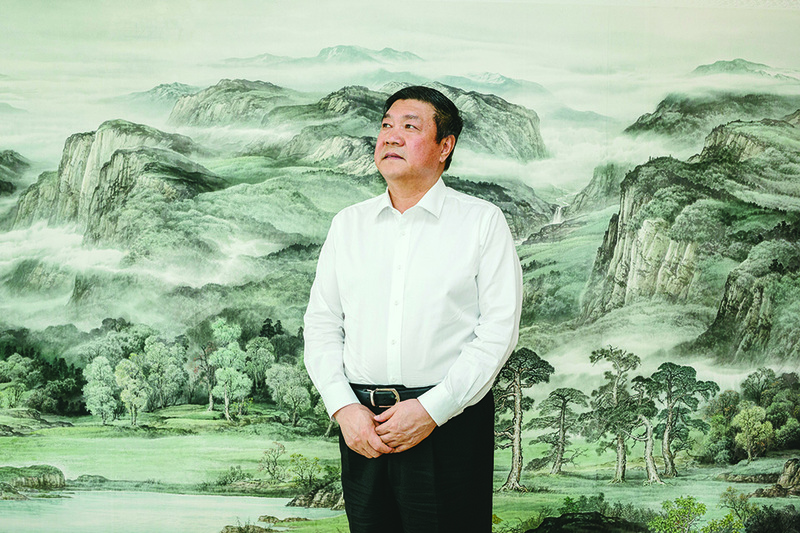 A mirthless, heavyset man of 57, he sits in a white leather chair in front of a mural depicting waterfalls and forests, flanked by company PR reps.
Wang got his break at age 28 when he was appointed to run a salt factory in the Kubuqi. “A jeep took me there, but it got stuck in the sand outside the gate,” he recalls. Sand and transport, he soon realized, were his biggest problems. As the crow flies, the salt fields were 37 miles from the railway station, but getting his cargo to the trains required a 205-mile detour via the only available road. With local government funding, Wang began building direct roads through the desert, with trees and shrubs planted alongside them to help keep the sand at bay. 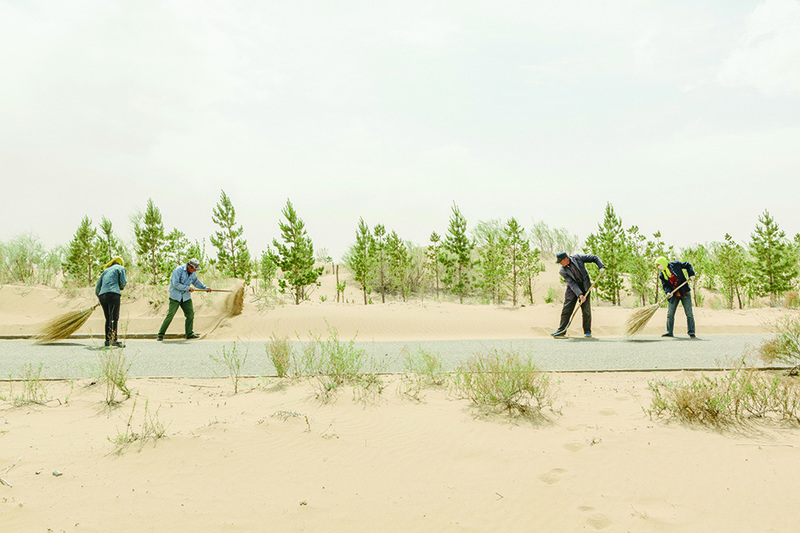 Workers clear sand off a road in the Kubuqi Desert. 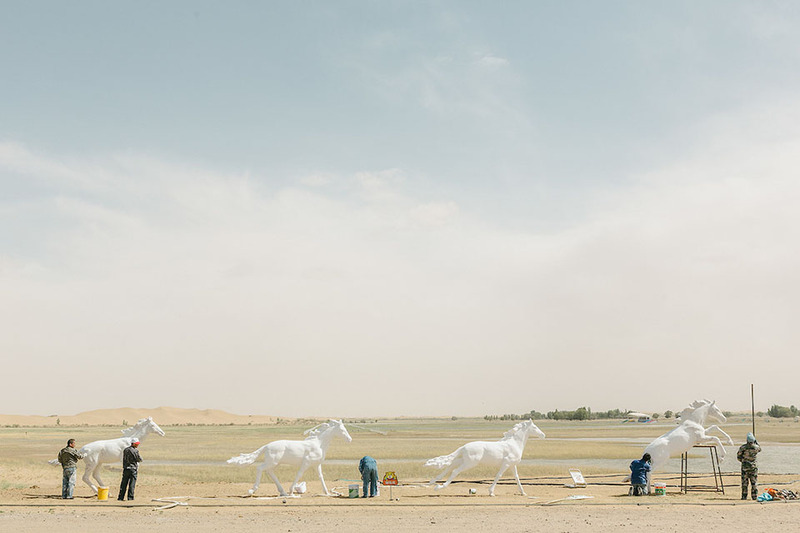 Workers paint and install horse sculptures inside Kubuqi Desert Park, north of Ordos Plateau in Inner Mongolia. The desert was one of the three major sources of sandstorms that would engulf the Beijing, Tianjin, and Hebei areas. Kubuqi is now home to around 100 species of plants and wild animals, and the park itself attracts 200,000 visitors annually. Wang Wenbiao, founder and chairman of Elion Resources Group. Duan Feng Quan, a horse breeder, and his son at home in New Storage Village. A farmer working on the edge of the desert. Trees are planted in an effort to block the wind and stabilize the soil. The day after admiring the view from the Duolun hilltop, I drive a short distance to a grim assemblage of squat brick homes. 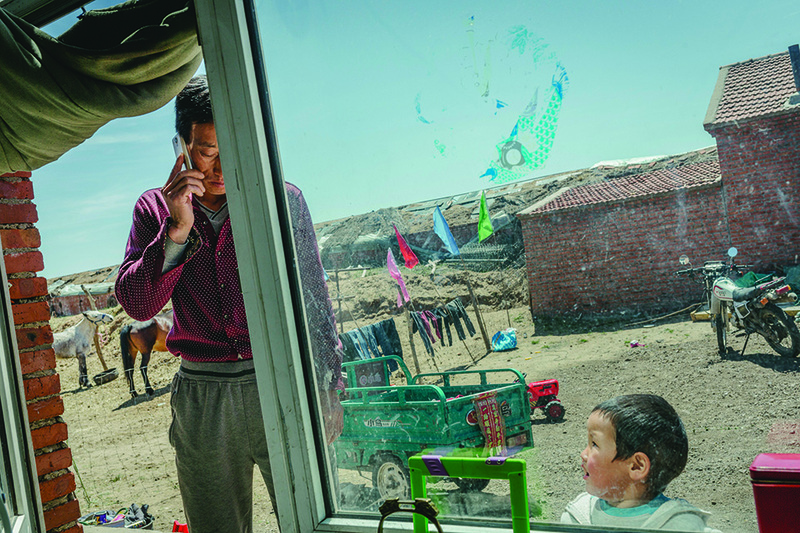 Called New Storage Village, this settlement was built to house some of the 10,000-plus farmers forced off their land to make way for the local tree projects—across Inner Mongolia, more than 600,000 farmers and herders have met this fate. 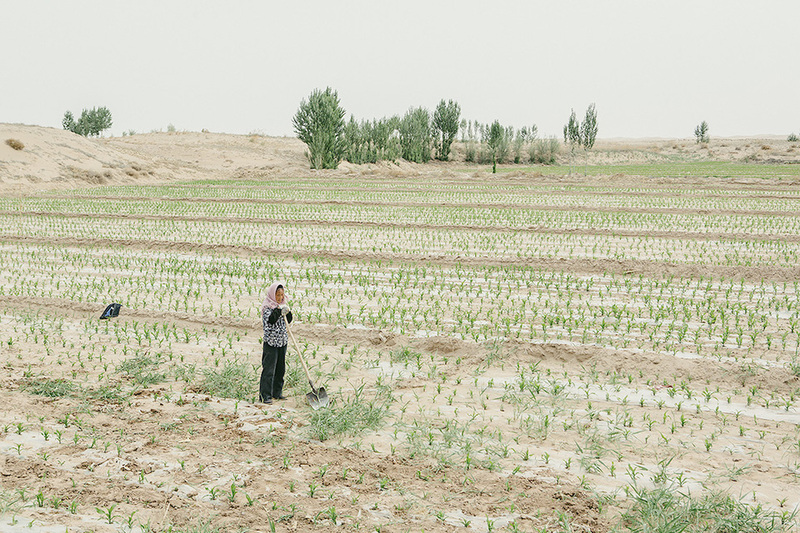 Offic­ially, this was an effort to reduce the overgrazing that abets desertification, but many of the displaced people believe it’s just a land grab to free up resources for Han Chinese businesses; in some areas, herders have resisted with violent protests. 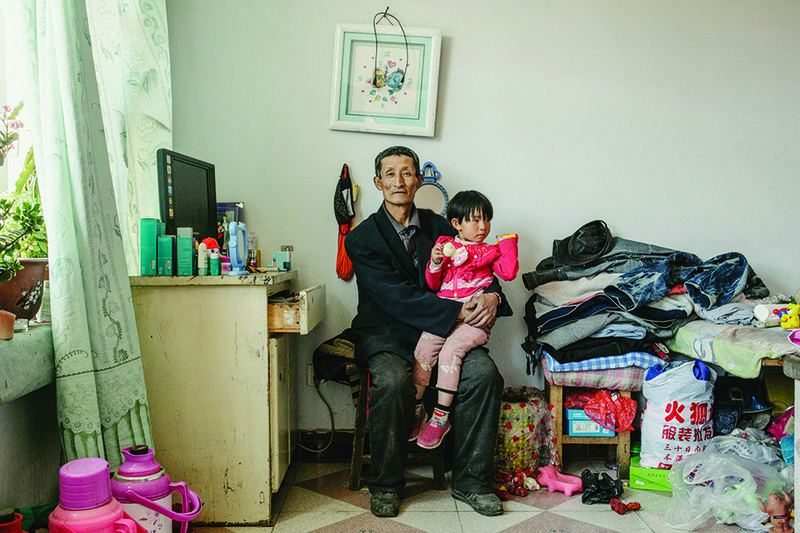 “They would have demolished our home if we had stayed,” says Wang Yue, a sinewy 65-year-old born and raised in a now-vanished village where his family had lived for generations. After we say our goodbyes, I walk down to where Wang’s dirt road meets the paved route through town. Off in the distance, I can make out a group of men with shovels. They are busy planting a line of spindly young trees. Reporting for this article was supported by the Pulitzer Center on Crisis Reporting. Photos by Ian Teh/Panos.